​ Passionate cigar smoker, collector and a bon vivant – Ashish Bhasin established The Smoke Company, which he manages along with his start ups Intelli Ventures and OTB (Out of The Box) Ventures since his return to India in 2012. 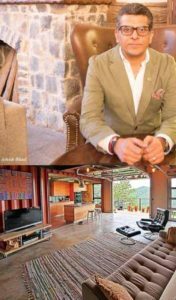 Smoking his Royal Danish 24 carat gold leaf and Swarovski studded robusto at one of the most upmarket cigar lounges in the capital he recounts how he fired up his dream to setup companies engaged in building luxury container homes. That with equal ease, on the heels of representation of the world’s lightest bullet proof daily wear brand as well as carving a niche with his most unusual format— The Smoke Company —India’s revered resource for cigars and accessories. Grounded, friendly, someone who triggers an instant comfort level, he has what it takes. A maverick who dons many hats and wears them all with aplomb. Priyanka Sippy with our Man about Town, Ashish Bhasin. 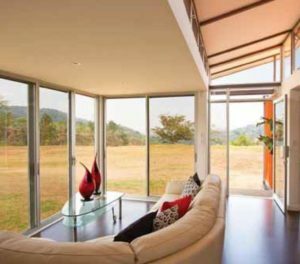 Q: Modular Homes from shipping containers, what a novel idea. What made you think of introducing the same in India? Q: How did you come across it? Q: What are the advantages of these homes? A: Containers are made to withstand any weather extremes – from the scalding Sahara heat , saline sea waters , Arctic snows and acid rains and so much more .. Containers can take on any weather challenges .. What could be more strong and enduring than these marvels of steel . The other best advantage is speed with which they can be converted ; imagine clinics and SOS units that can be sent immediately to the sites struck by calamities ; or schools that can be setup to provide education to children in regions otherwise inaccessible . Q: How do you perceive will be the response in India? A: Aah Incredible India !! It seems to be the best market for such a concept but people here have reservations to embrace new concepts it’s a high gestation place but we look at india as a very progressive market and we are keen to align with central and state govt. initiatives – make in india , start up india , education , welfare and sanitation . Once the government embraces it , the masses and classes will follow suit . 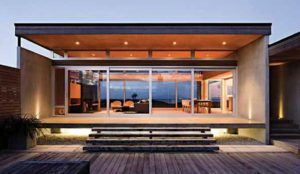 Containers can play across economical bandwidth of individuals from a makeshift dwelling unit to a super luxury smart holiday home in the hills or by the beach ; they can be tweaked for any requirements. 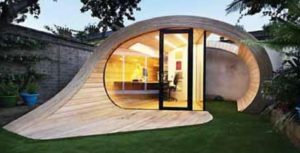 India as a country surely defines these economic extremes which can be to the advantage of mobilising container home industry . Q: Where can they be set up? What are their usages..what kinds of categories and projects? A: Like I mentioned before containers are like strong steel Lego boxes that can withstand any weather extremes ; they can be stationed and commissioned across any region and can be featured fit to withhold any topographical challenges such as cold ladakh or cherrapunji or Arid kutch we can handle it all . Q: How cost effective is it? A: Containers are used worldwide because if their three inherent strengths – ease of application , strength of material and costs of commissioning . Having said that we can also make super luxury container homes , cafes ,stores and lounges , pop ups a dos much more . 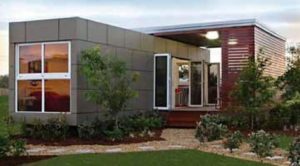 Costs are always relative to features to be engaged but nonetheless container homes are surely the most cost effective resolution to Inhabitation and Rehabilitation. Q: Aesthetically,how pleasing can they be? Q: Have you got a booking for the same? A: We have started getting lot of queries for making mobile cafes ,stores , holiday homes and cafes . Q: How long does it take to set one up from start to finish? A: Containers are super strong and super fast structures to commission but all is centric to client’s specifics and briefs timelines hinge on the scale of a project . Q: How big can they stretch up to in height and in square metres? A: In Zurich , they have an eight storey showroom on Containers , in Amsterdam they have multi storied dormitories, hostels and hotels , london and dubai have shopping markets in containers , usa has done if the most beautiful container homes , Japan and Korea you would see the best of stores and cafes . Size , structure and strength are never any challenges for containers – skills are . Q: How do you plan to market them? A: As marketing right owners for worlds largest and most advanced technology factory of container homes there is less marketing required but surely we need to make people more aware of its advantages on strength , speed and scale . India is a relatively slow and conservative market ,new concepts are generally not embraced very quickly, one needs constant hammering and prospective engagements to break the ice but once you are on the roll and service engagements are placed well I see no challenges at all . A Lot also depends especially on projects like these on govt. engagements and support to toot around a concepts feasibility and advantages. We are very hopeful this concept will play to the galleries across govt and individuals alike and we can align it seamlessly well with central and state govt. various initiatives as we can do it with any requirements of an individual .